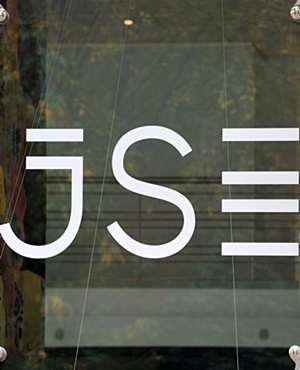 The JSE closed marginally firmer on Thursday following a rather mixed session. Clicks [JSE:CLS] jumped to R196.80 per share after the stock gained 5.49%, while Blue Label Telecoms [JSE:BLU] managed to recoup some of the losses the stock has taken over the past two trading sessions to close 5.55% firmer at R7.23 per share. Tiger Brands [JSE:TBS] rose to R287.50 after adding 2.68%, while Discovery Limited [JSE:DSY] climbed 3.41% to close at R173.00 per share. Grindrod [JSE:GND] was one of the day’s top gainers on the broader index, closing 6.37% firmer at R8.68 per share. Curro Holdings [JSE:COH] climbed to R33.70 after gaining 4.98%, while mining group Lonmin [JSE:LON] closed 4.28% firmer at R7.31 per share. South32 [JSE:S32] recorded a 16% jump in underlying earnings in the full-year earnings results released Thursday. Its stock subsequently gained 4.05% to close at R36.73 per share. Woolworths [JSE:WHL] was the main talk of the day following the release of its full-year earnings results. The company reported a decline of 13.8% in adjusted profit before tax, with a notable decline in income of 49.4% being recorded for its Australian subsidiary, David Jones. The stock slipped to a session low of R48.01 before rebounding to close at R50.60 per share, down 1.84% on the day. Massmart’s [JSE:MSM] half-year results also disappointed. The company reported a decline of 19.5% in trading profit before interest and tax, and it also declared a lower dividend compared to the corresponding period’s dividend. The stock lost 0.23% to close at R110.75 per share. The JSE All-Share index held on to its gains to eventually end the day 0.14% firmer, while the JSE Top-40 index added 0.13%. The Resources index struggled to close 1.13% weaker. The Industrials and Financials indices added 0.56% and 0.43% respectively. The rand pulled back against the greenback following Donald Trump’s comments on South Africa as well as a stronger US dollar. The local currency weakened to a session low of R14.44/$ before retracing to trade at R14.28/$ at 17.00 CAT. Gold traded softer on the day and at 17.00 CAT it was down 0.5% at $1189.83/Oz. Palladium was down 1% to trade at $917.14/Oz while Platinum had lost 1.85% to trade at $779.78/Oz. Brent crude pulled back marginally following Wednesday's jump. The commodity was trading 0.08% weaker at $74.72/barrel just after the JSE close. At 17.00 CAT Bitcoin was down 3.52% to trade at $6 435.60/coin while Ethereum was trading 4.08% weaker at $272.97/coin.